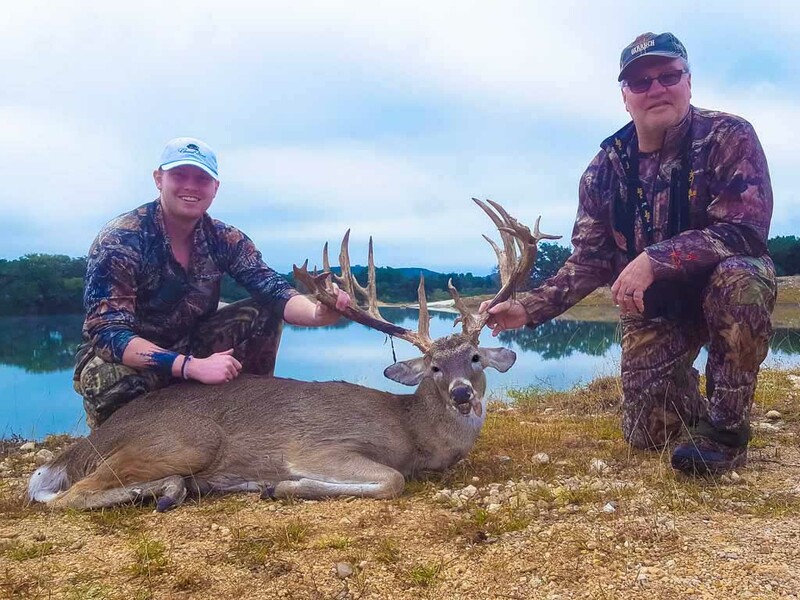 Whitetail Deer Hunting Season: Ox Ranch has an MLD permit that extends our Whitetail season further than what most ranches are allowed. 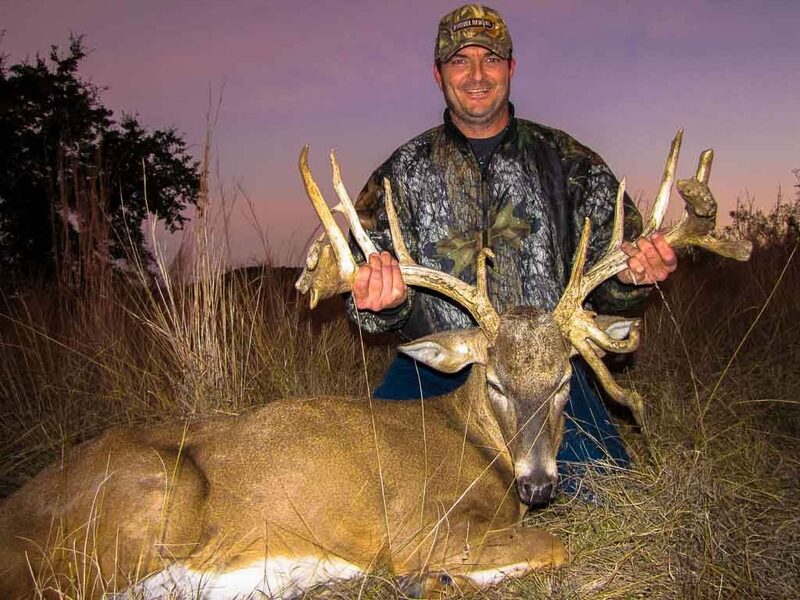 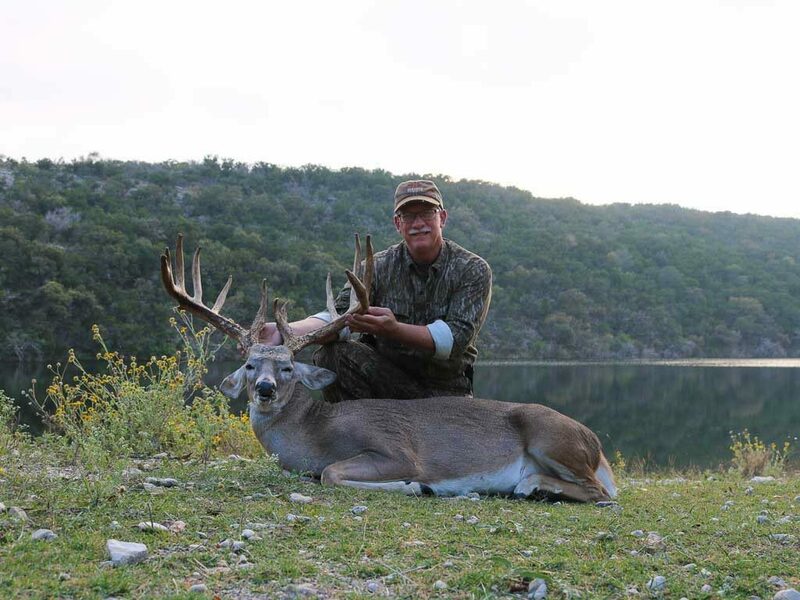 Whitetail deer are native to Texas, and there is no better place to hunt them than at Ox Ranch! 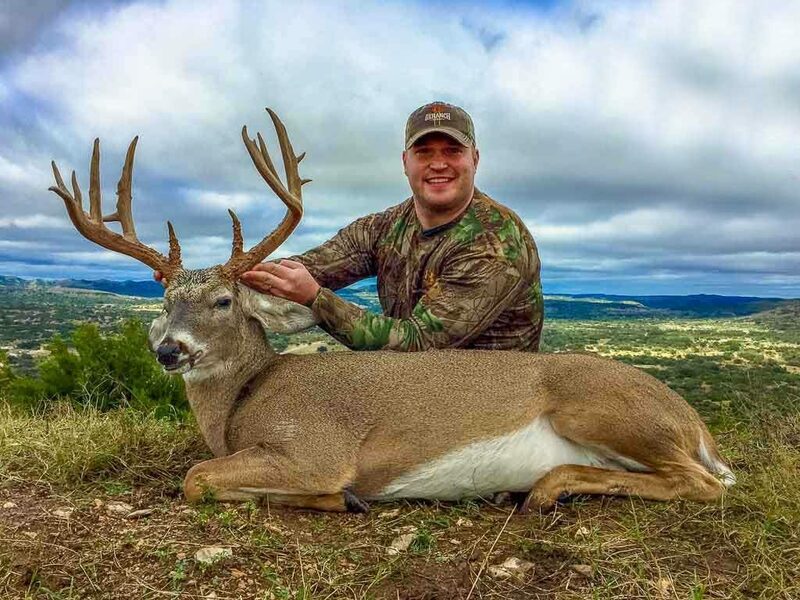 We have hundreds of whitetail bucks free ranging on over 18,000 acres of Texas Hill Country. 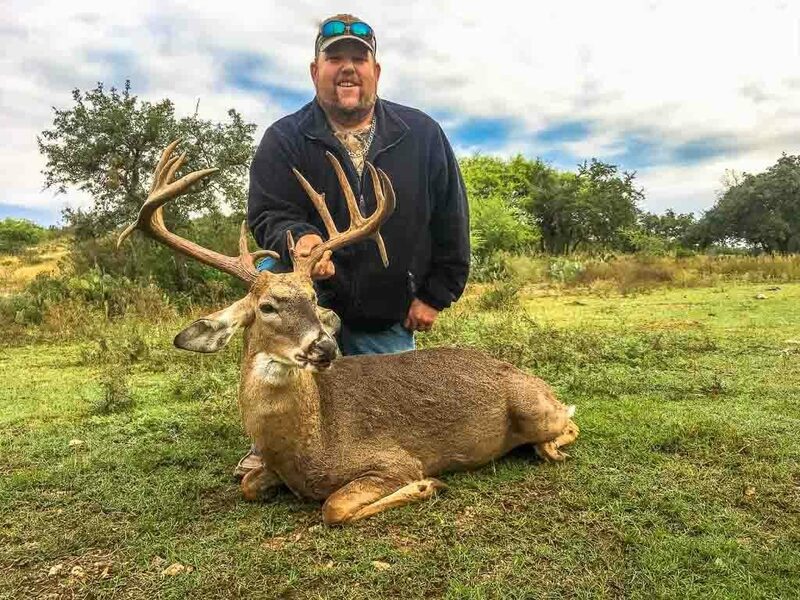 Be wary of whitetail ranches that keep their deer penned up. 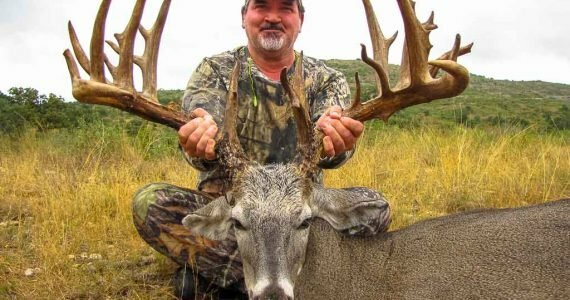 The majority of them are lab-created monsters that cannot survive in the wild! 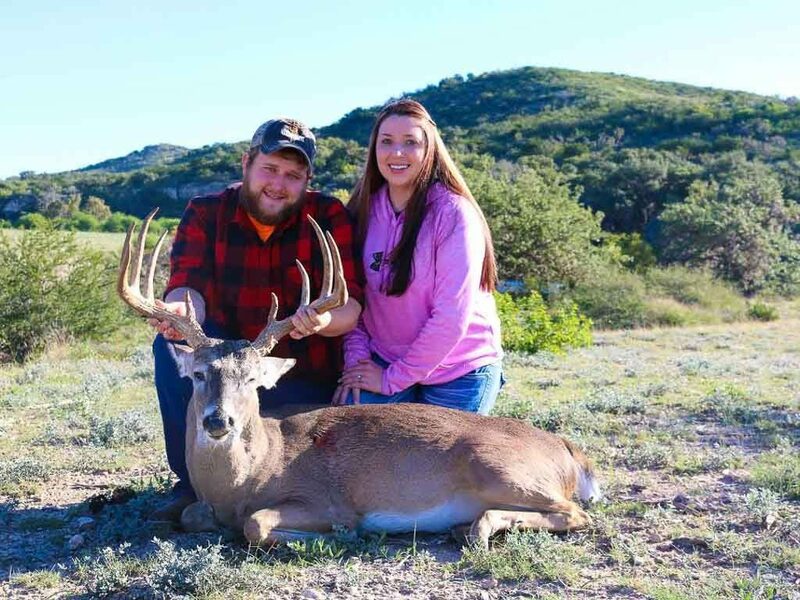 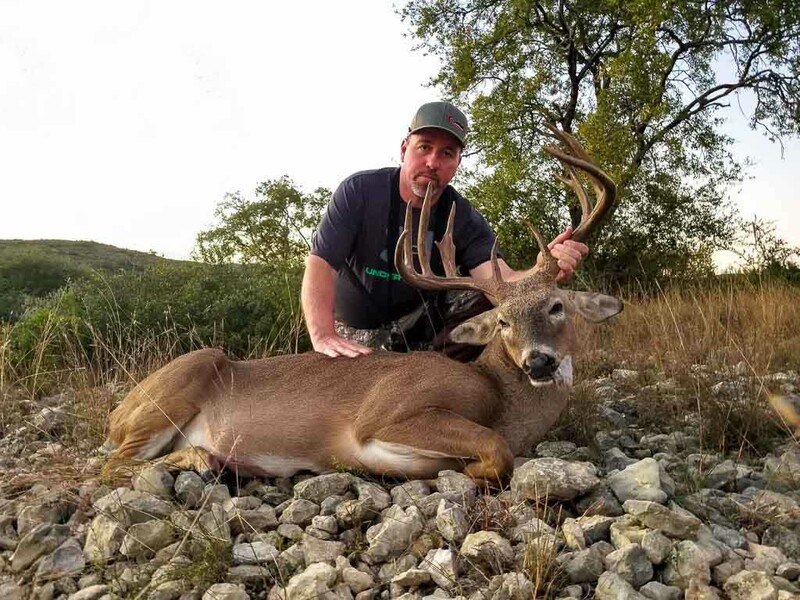 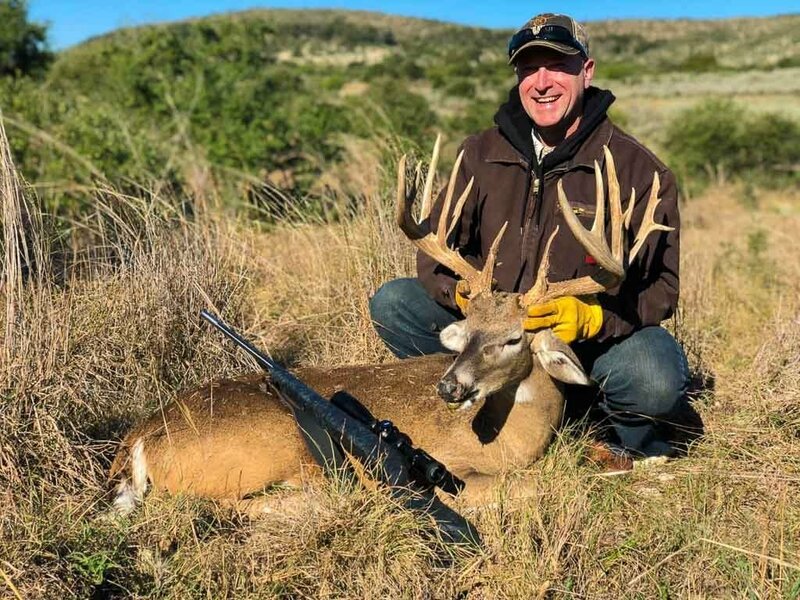 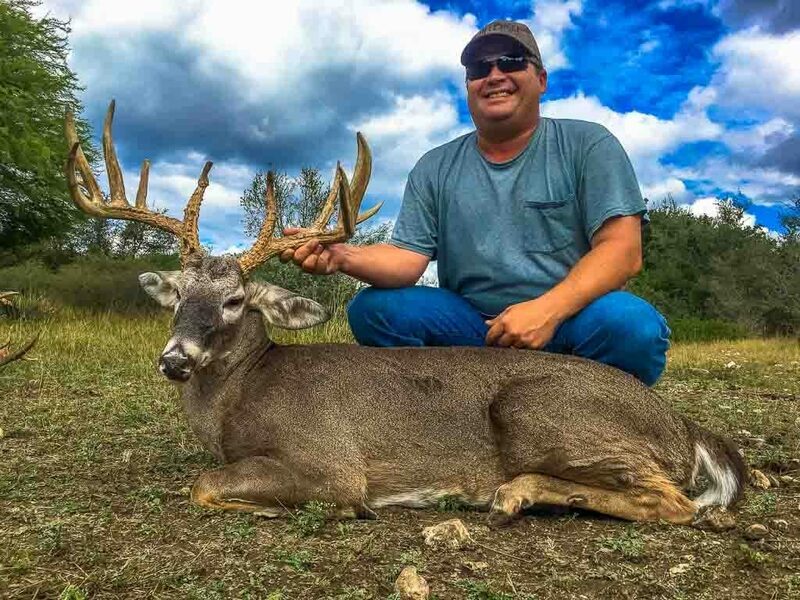 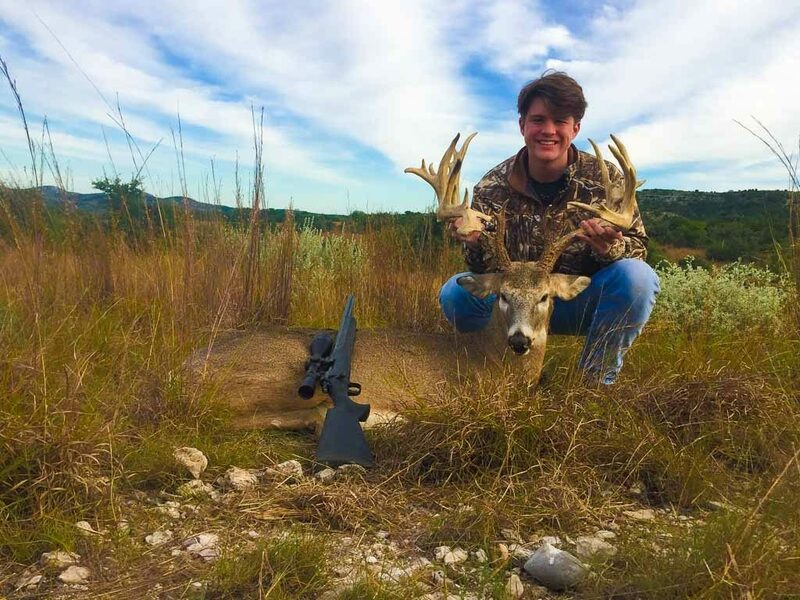 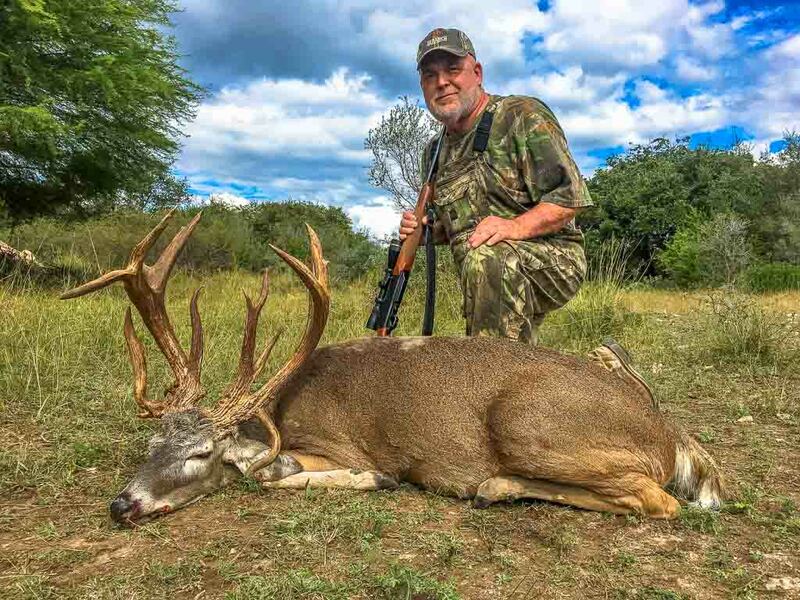 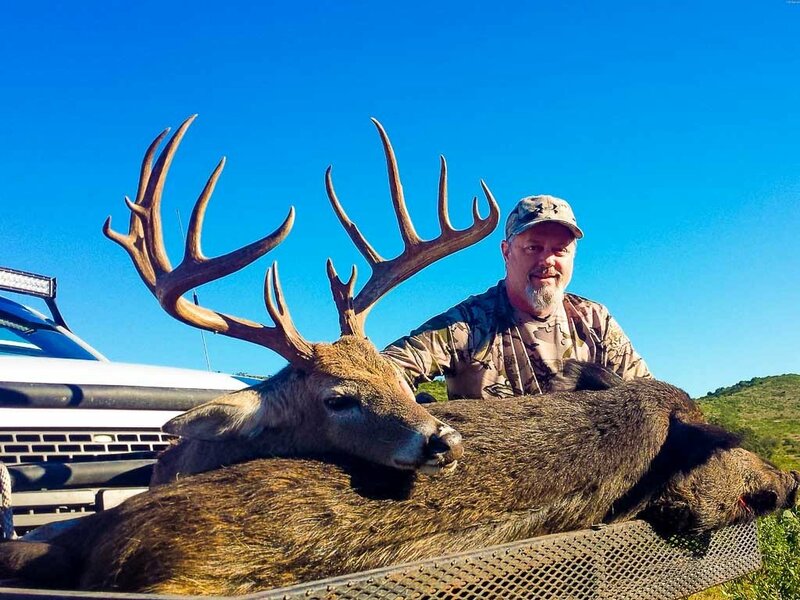 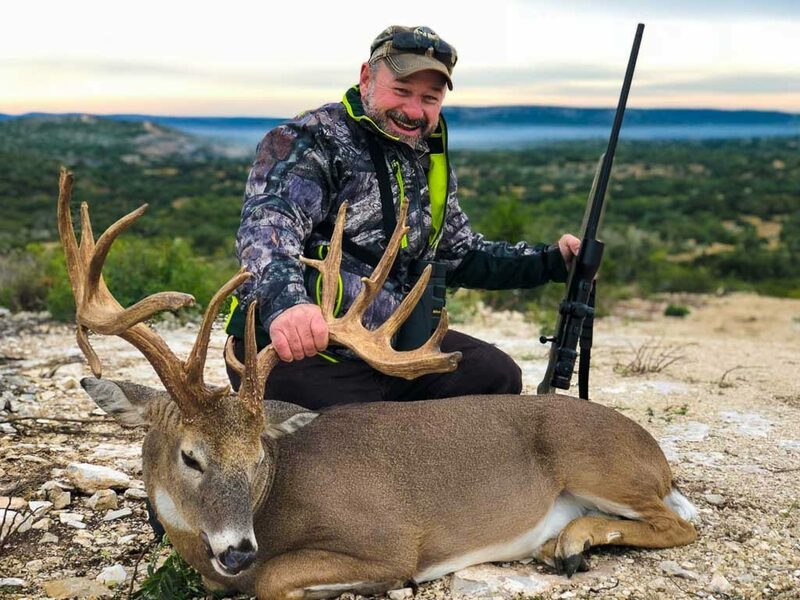 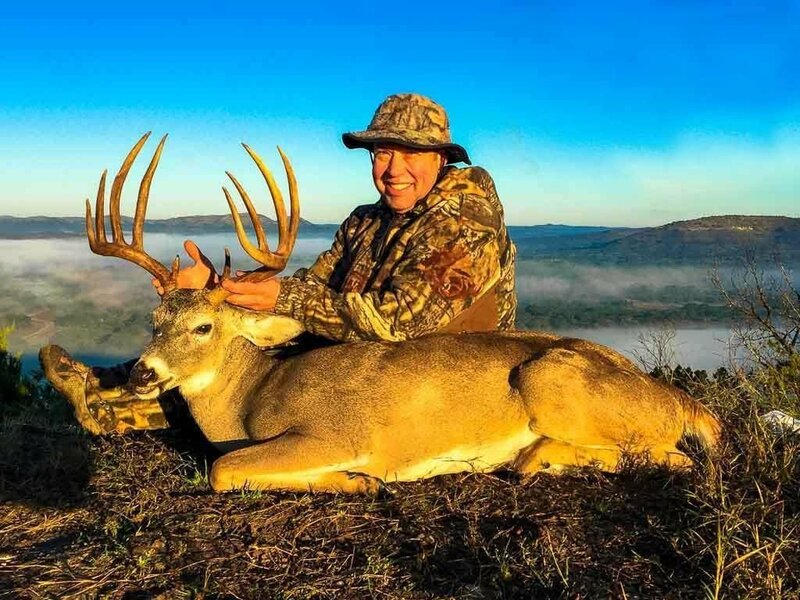 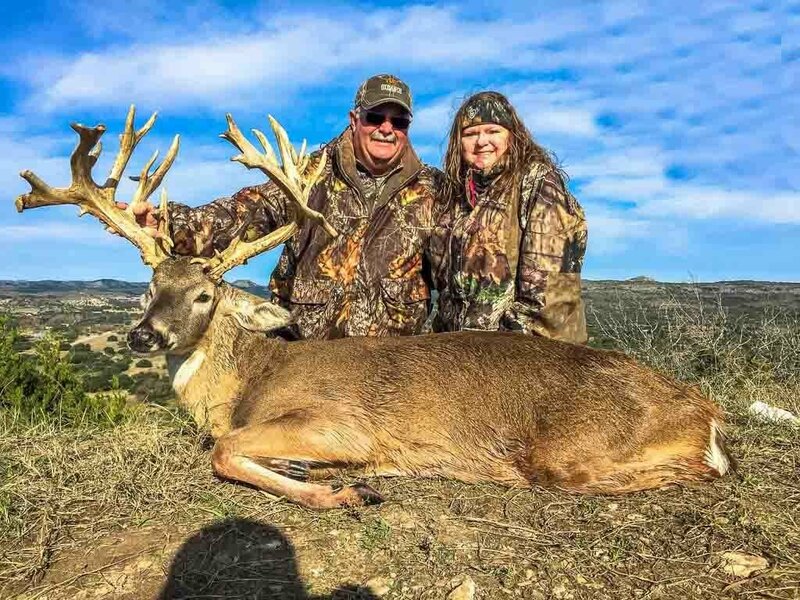 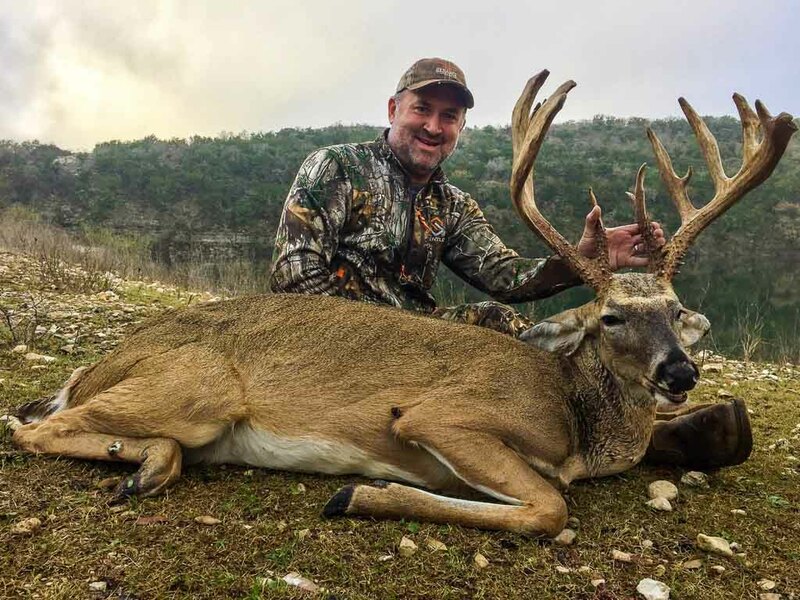 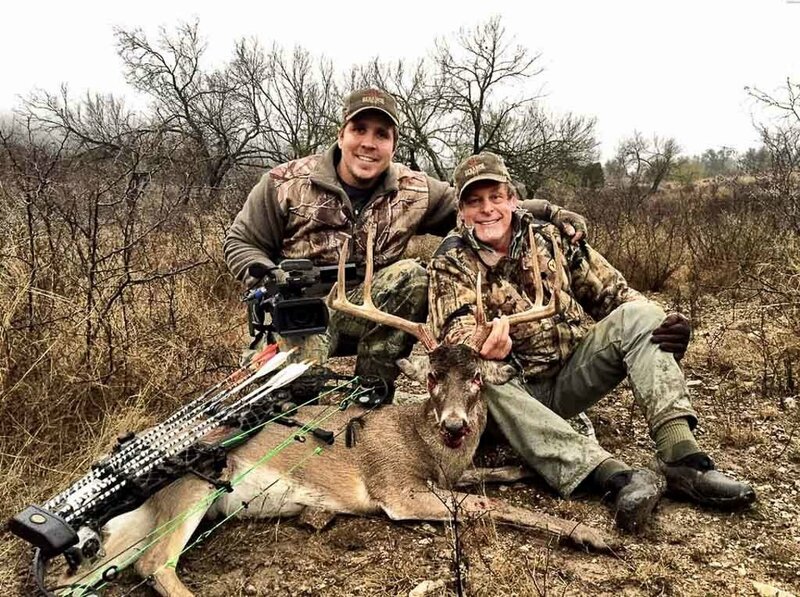 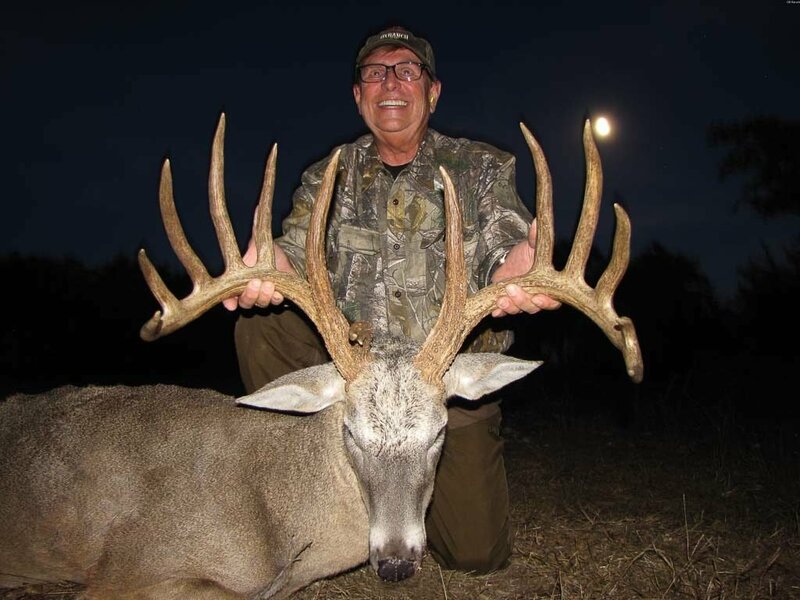 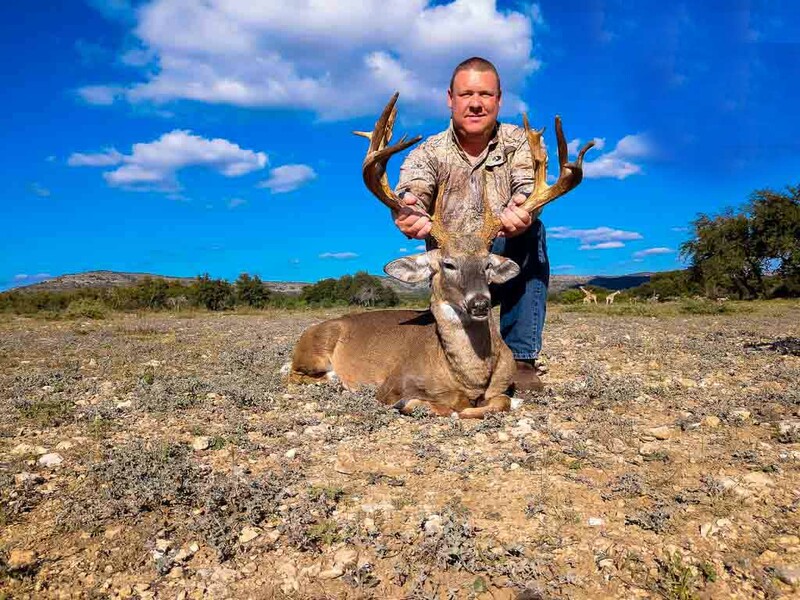 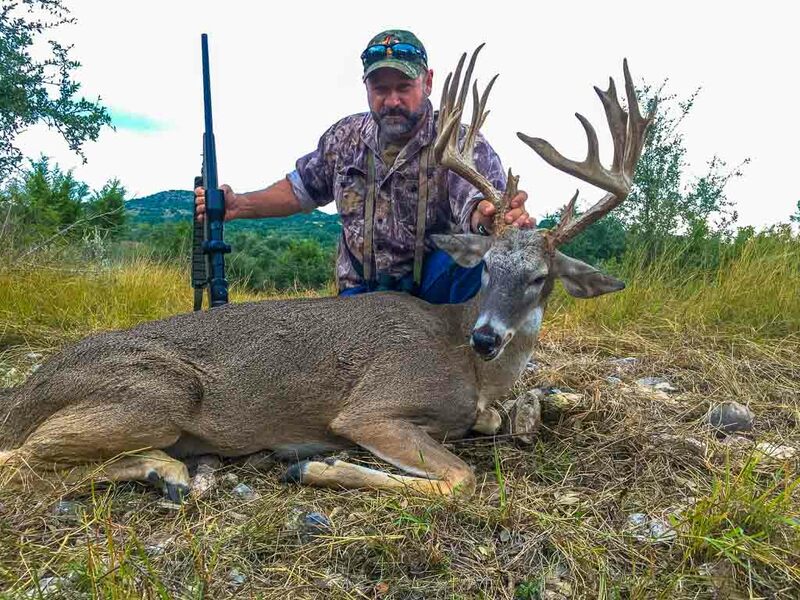 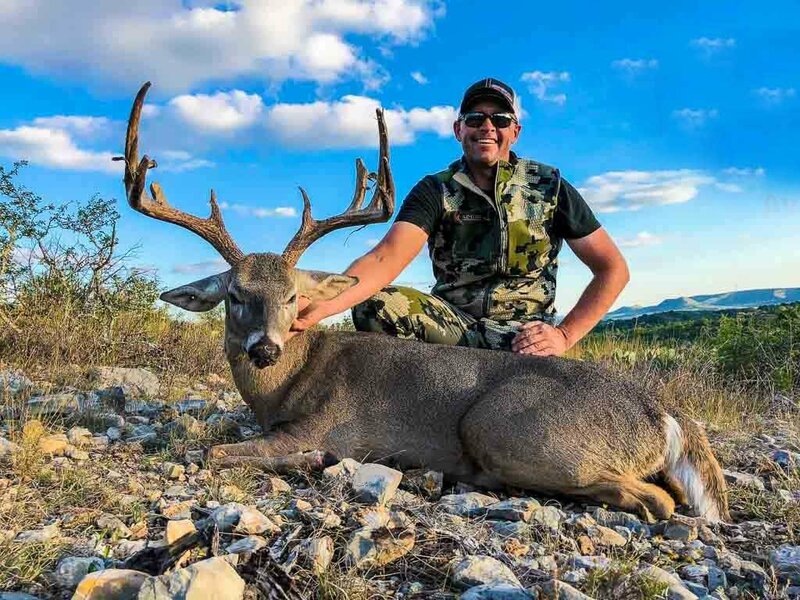 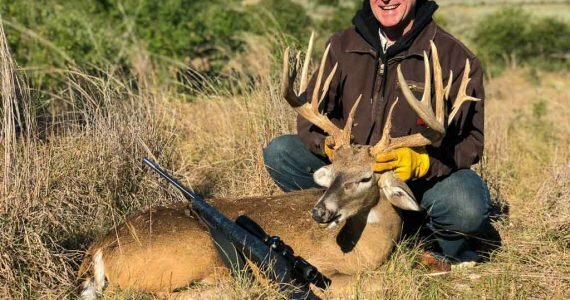 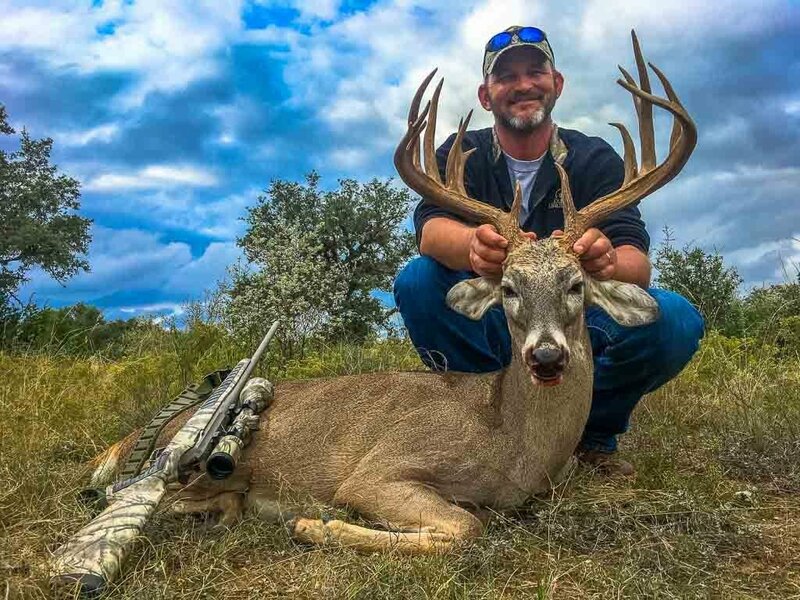 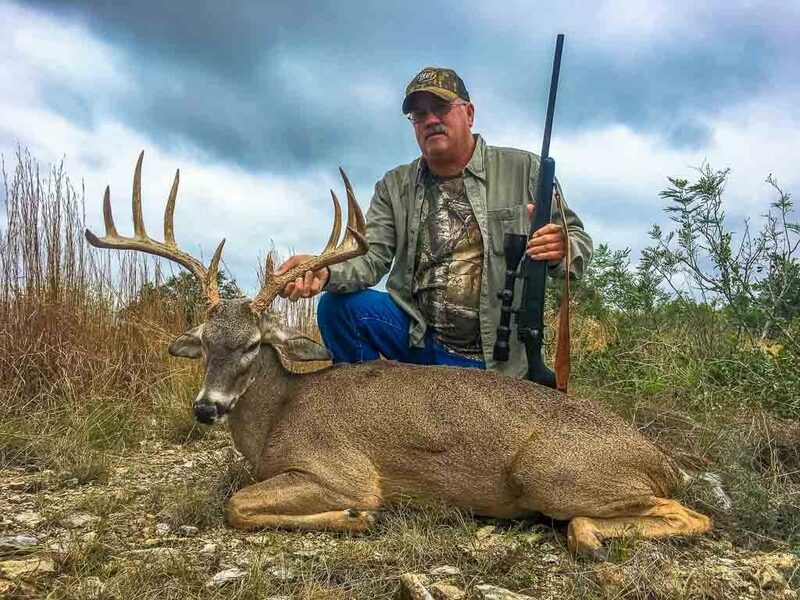 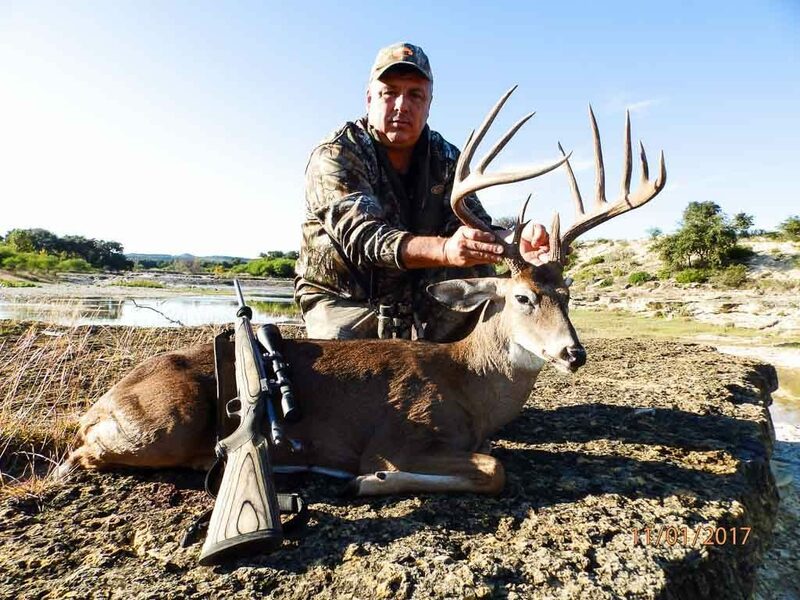 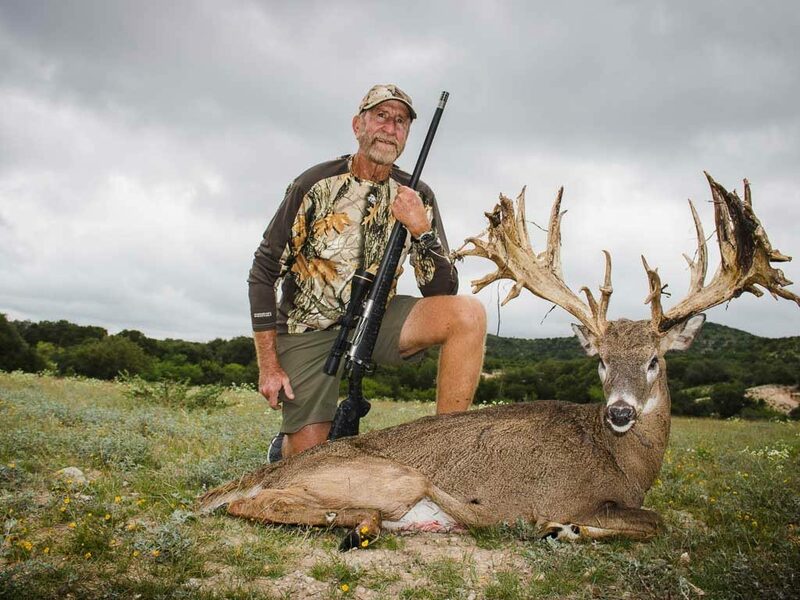 You may hunt our trophy Whitetail deer using any method you prefer, including Spot and Stalk, Bow Hunting, Rifle Hunting, Pistol Hunting, Safari Style, or from a Blind. 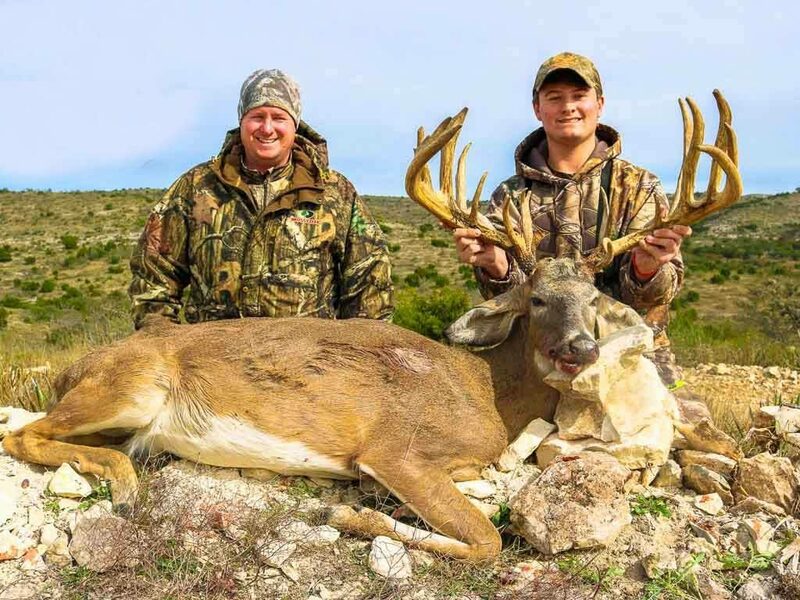 1 in 10,000 whitetail doen’t have antlers! 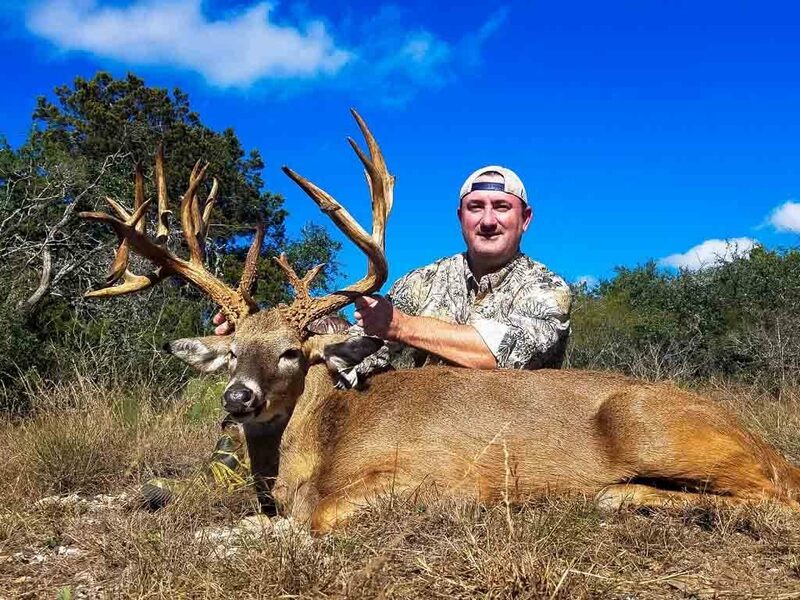 These deer are fast! 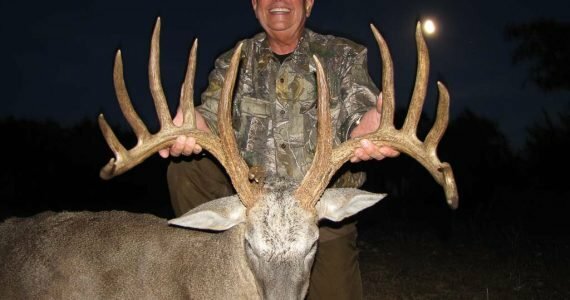 They are known to run at over 45 miles per hour! 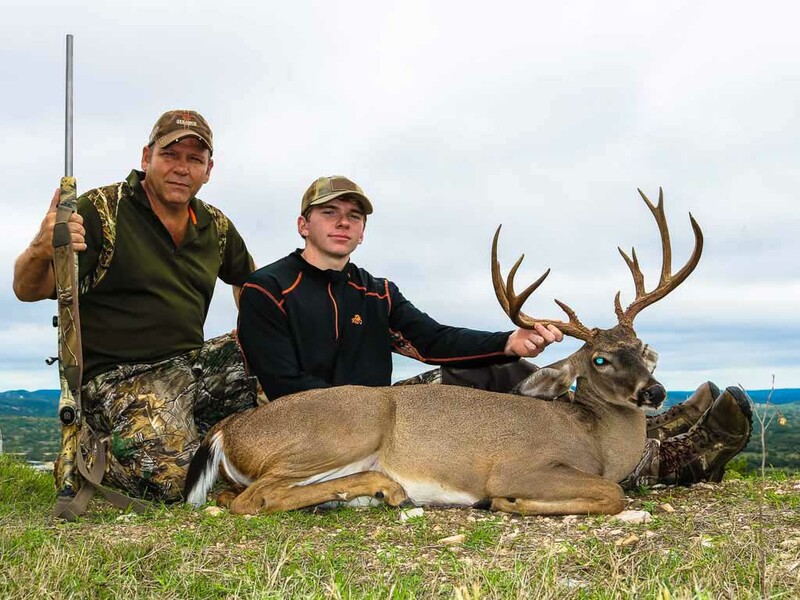 Whitetail deer are the smallest of North American deer and the most abundant, with a population of over 30 million. 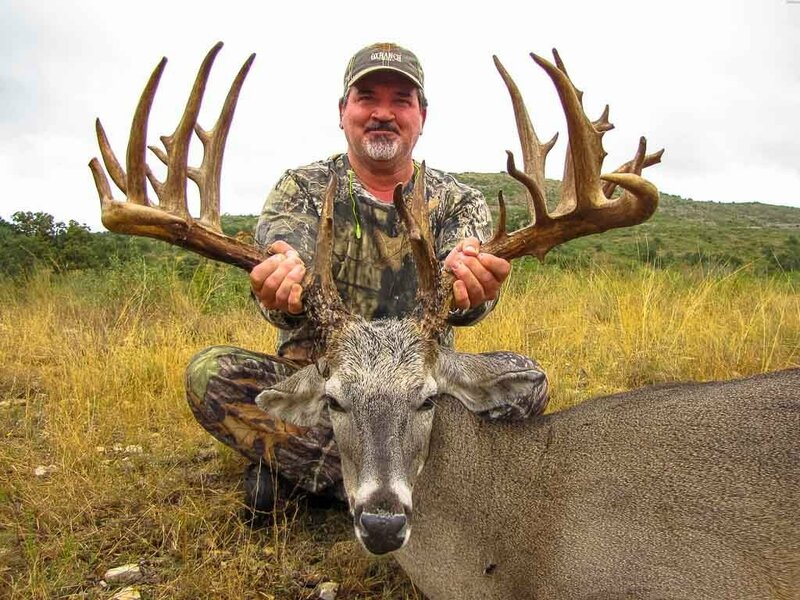 In the early 1900’s, there were only about 500,000 whitetail deer in North America. 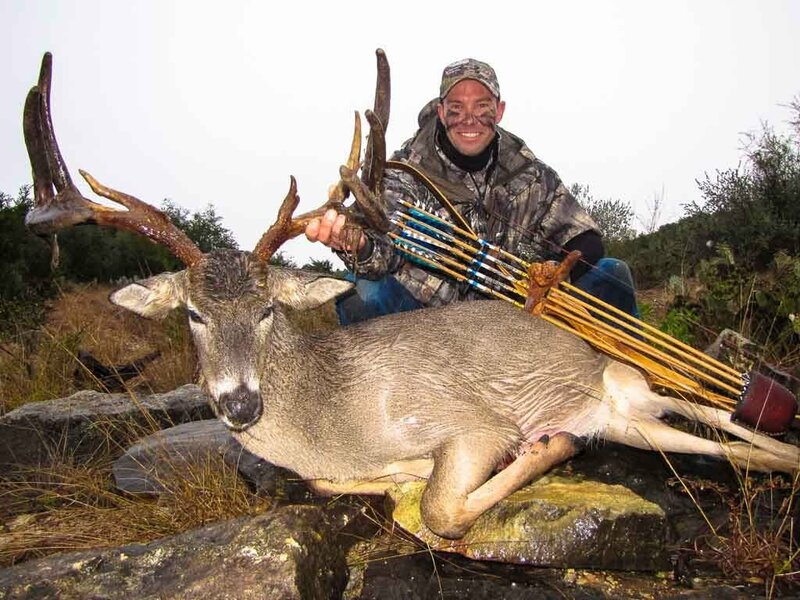 When threatened, whitetails will chirp and wave their tails frantically! 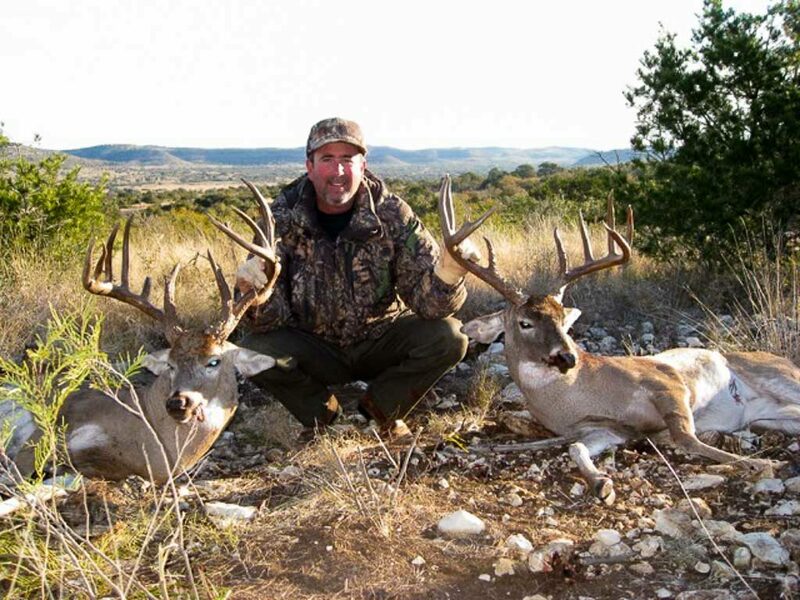 We recommend making Whitetail deer hunting reservations well in advance to secure availability.